Some information and tips on your puppy's growth. The growth of the dog? Here we mean, by growth of the dog, the phase which extends from the birth of the dog to the beginning of the period of adulthood. During growth, the factors that evolve are the size of the bones and therefore the size of the dog, its weight, and more particularly the muscular and fat masses. The feeding mode also varies from milk feeding, when breastfeeding the puppy to a meat feed. The most easily measurable factor to control the growth of your puppy is weight. It is indeed easier to weigh his dog than to make a regular state of his measurements. If you want to do things at best and control its growth, it is important to control your dog's weight regularly. During its growth, we advise you to weigh it on average once a week. 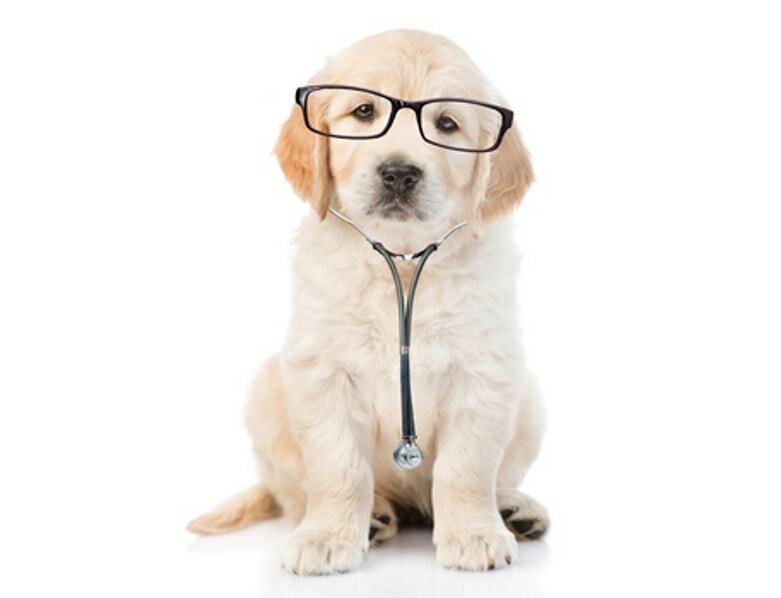 Once an adult, we advise you to check the weight of your dog once a month, to ensure that it retains its weight form. We remind you that a good control of your dog makes it possible to limit the risks due to the overweight, such as the osteo-articular disorders. Thus large dogs will take longer to reach their height and adult weight than small dogs. Dogs of small size will have finished their growth at around 12 months whereas for bigger dogs it will take 24 months. Indeed, the dog does not take as much weight in its first days of life, as in the middle or at the end of its growth. In general, the time when the puppy's weight gain during its growth is the fastest is when it reaches two-thirds of its adult dog weight. Again, this depends greatly on the breed of the dog. For a small dog, this growth rate will be maximum around the age of 4 months, whereas for a very big dog, it will be rather around the age of 7/8 months. Obviously, when we talk about dog weight, diet plays a big role. The easiest way to control energy intake is to feed your dog with croquettes. We advise you to use quality croquettes, premium croquettes. You can read about our advice on the best diet for your dog and also serve as your our tool for calculating the ration of croquettes to give to your dog. The puppy's diet should differ from the adult dog's diet. Appearance level, the diet must be adapted to the jaw of the dog and its corpulence. Level nutritional composition, the need for protein is higher for puppies. It will be necessary to privilege the proteins of animal origin to the vegetables, because they are of better qualities and are therefore better assimilated. The puppy will also need a good intake of calcium and vitamins. All of these nutrient requirements are covered if you are using premium croquettes adapted to the weight and age of your dog. It is therefore not necessary to supplement vitamins and minerals if you use quality croquettes. The size constraints of croquettes adapted to the jaw of the animal are also taken into account when you choose your dog food according to its age and weight. If physical exercise is advised throughout the dog's life, it is very important, especially for large dogs, to avoid violent games and exercises, and jumps during the growth period to avoid Develop pathology at the level of the skeleton. In general, exercise in the meal period (before and after) should also be avoided in order to reduce the risk of stomach dilatation / torsion. At 0 year(s), 10 month(s) and 8 day(s), Othello, Australian Shepherd Dog male, weighed 23.3 kg. At 0 year(s), 4 month(s) and 28 day(s), Ouna, Cane Corso female, weighed 29.6 kg. At 0 year(s), 4 month(s) and 25 day(s), Nina, Other Dogs female, weighed 4.18 kg. At 0 year(s), 3 month(s) and 0 day(s), Pandia, Bernese Cattle Dogs female, weighed 13 kg. At 0 year(s), 6 month(s) and 23 day(s), Olaf, Maltese Bichon male, weighed 2.46 kg.